Unless you live under a rock, you probably know that Omega-3 fatty acids are great for a healthy heart. * If you’re supplement-savvy, you may also be familiar with the cardio-protective properties of Omega-6s. * But did you know there’s a new heart-loving fatty acid in town? 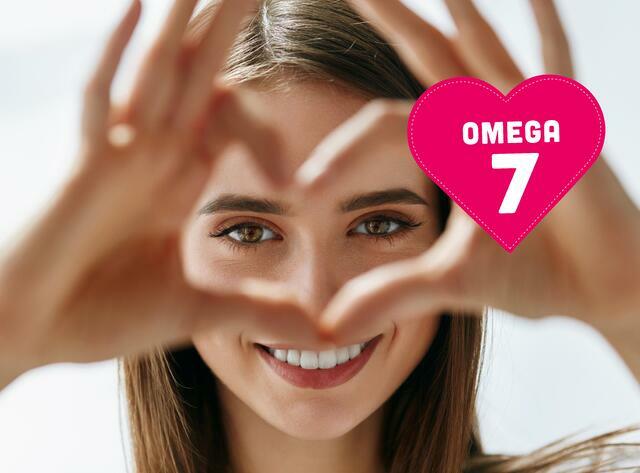 Heart health month is an ideal time to learn more about Omega-7, the powerful newcomer in the fatty acid world. In a nutshell, Omega-7s support a healthy inflammation response. * Inflammation is a double-edged sword. Too little, and you have no defense against challenges to your immune system. Too much, and it wreaks havoc on your metabolic health (i.e. your blood pressure, blood sugar, cholesterol, triglyceride, and abdominal fat levels). Omega-7s are found in some foods such as macadamia nuts, grass-fed meat and dairy, avocado, and salmon, and they’re also available in supplement form. Any time you take a supplement, though, make sure you’re getting the studied dose. The patients at the Cleveland Clinic received a dose of 220 mg a day. So, when you buy an Omega-7 supplement, look for something in that ballpark. Barlean’s Heart Remedy™ provides purified, pharmaceutical grade Palmitoleic Acid Omega-7 designed to raise HDL (“good”) and lower LDL (“bad”) cholesterol levels. It's available in mini-softgels and a tasty mixed berry flavored Swirl, which is emulsified for superior nutrient absorption. Click the button below to learn more. [i] Bernstein AM, Roizen MF, Martinez L. J Clin Lipidol. 2014;8(6):612-7. [iii] Mozaffarian D, et al. Am J Clin Nutr. 2010;92(6):1350-8. [iv] Cao H, et al. Cell. 2008;134(6):933-44. [v] Foryst-Ludwig A, et al. J Biol Chem. 2015;290(39):23603-15. [vi] Bolsoni-Lopes A, et al. Am J Physiol Endocrinol Metab. 2013;305(9):E1093-102. [vii] Bolsoni-Lopes A, et al. Lipids Health Dis. 2014;13:199.